It will be a busy time for APC members between September 12 and October 6. The ruling All Progressives Congress is getting set for the 2019 general elections. The party has released timetable for its primaries. 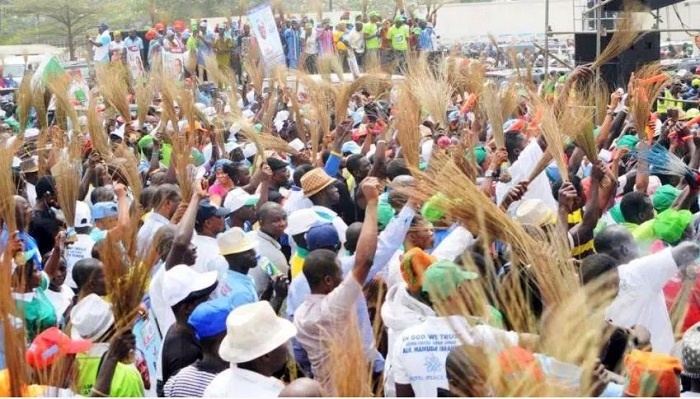 According to Emma Ibediro, the National Organising Secretary of the APC, the party’s congress would hold on September 12 nationwide to elect delegates for its primaries. September 13-14 has been fixed to hear appeals that may arise from the congress, while September 15-18 would be for screening of aspirants that purchased forms. “All forms are to be collected and submitted on or before Wednesday September 12, 2018,” he said. “Appeals that may arise from the screening of aspirants would be heard on September 19-20. September 25 has been fixed for the party’s governorship primaries to elect governorship candidates for the election, while September 26-27, had also been fixed as a day for hearing of appeal that may arise from the conduct. For September 28- 30, it will be for hearing of appeals that may arise from all legislative primaries, while October 6 has been fixed for the National Convention to ratify the party’s candidate for the 2019 Presidential election.